The first two tests are fully guided with advice on how to tackle each paper. Extra practice activities, informed by the Cambridge Learner Corpus, a bank of real candidates' exam papers, focus on areas where students typically need the most help. 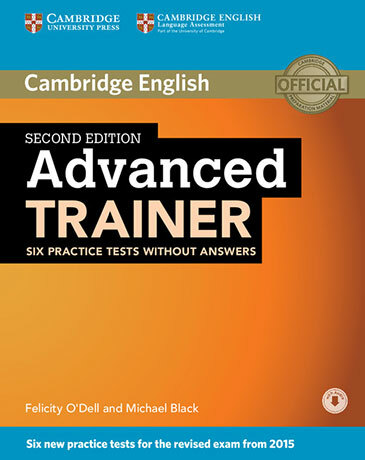 Additional grammar, vocabulary and writing practice activities help students avoid typical mistakes made by real exam candidates in Cambridge English: Advanced. This 'without answers' version is ideal for class use. Audio for the listening and speaking test activities is available online for download. Audio CDs featuring the listening material are also available, separately.